You are here: Home » Is Senna Leaf Really A Good Idea For Losing Weight? If you’ve been looking into detox teas, you may have come across a particular ingredient called Senna Leaf. 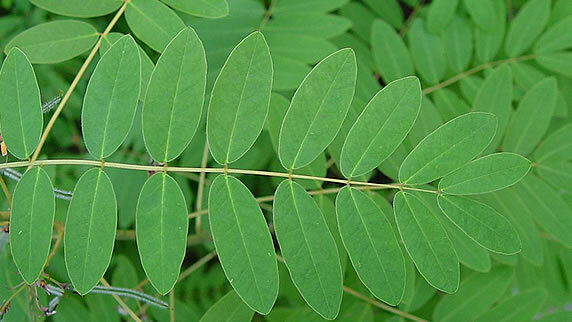 Senna leaf is quickly gaining popularity and is frequently used in numerous detox, slimming, and weight loss teas. If senna is used in these weight loss teas, it must be good for losing weight, right? It’s true that senna may cause weight loss, but it’s not in a “good” or healthy way. Senna is one specific herb that we really need to take precaution with. Let’s take a look at this herb and get to the bottom of its usage, effects, and safety, especially if weight loss is the goal. Senna belongs to a large genus of flowering plants that are found in tropical climates. There are over 250 reported species but some of the most commonly used species are Cassia acutifolio (Alexandrian senna) and Cassia angustifolia (Indian or Tinnevelly senna). The use of senna extracts, including leaves, fruit, and flowers, has been dated back to the 9th century for medicinal purposes. Senna has a natural laxative effect on the body. It’s currently FDA-approved as a nonprescription laxative for constipation and to clear the bowel prior to tests or procedures such as a colonoscopy. Now it’s being used in herbal slimming teas for detoxing and weight loss. How Does Senna Leaf Cause Potential Weight Loss? Senna contains chemicals called sennosides. Sennosides actually irritate the lining of the bowel and force the intestinal muscles to contract. This is what ultimately causes the laxative effect. The effects of sennosides result in more frequent bowel movements with greater volume. The weight loss experienced is from the water weight that your stool absorbs and through excretion. Senna quickens the entire process and can lead to pushing through foods that haven’t been fully digested or absorbed in the body. So the weight loss comes from water weight in your stool and the potential that not all of the calories in the food you’re consuming is being absorbed. This is also temporary loss of water weight and doesn’t have anything to do with fat loss. Senna leaf comes with a good deal of potential problems. In particular, it’s a very powerful laxative. A bowel movement can be expected anywhere from 6 to 12 hours after taking senna. Note above that it’s used to “clear the bowel” before medical tests and procedures. Senna is intended for incredibly short-term use and with a specific ailment such as constipation or a medical procedure in mind. It can be very safe, effective, and helpful but for only these certain circumstances. It’s recommended to use senna leaf for no more than 7 – 14 days and sometimes as little as 3 days. This is when it becomes a problem when detox teas use senna leaf in their ingredients. 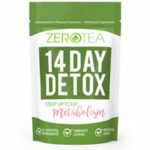 A great deal of detox tea cleanses are for 14 days to 28 days (or longer). This obviously far exceeds the recommended use of senna leaf. Senna leaf can be even more hazardous when paired with diuretics. Diuretics are also a very common ingredient in weight loss and detox teas. So not only are you getting the original problems of senna leaf but they are being amplified with diuretics. Diuretics cause the body to excrete salt and water from the kidneys. The increased loss of water from both senna and diuretics can lead to harmful dehydration and imbalances in the body. Another problem with senna leaf is that laxatives in general can be a slippery slope. Using or overusing strong laxatives like senna can actually lead to chronic constipation (the very thing it’s intended to relieve). If you use laxatives too frequently, your body can eventually become dependent on them and lose its ability to function naturally. And this is not something we want to mess with! In addition to the problems noted above, senna leaf can lead to many adverse side effects. If senna is used for longer periods of time, the severity and risks increase, as well. Using senna may lead to liver damage, bloody stool, and muscle weakness. It may also lead to potassium depletion and imbalances of crucial chemicals in the blood such as electrolytes. Abnormalities in electrolytes can cause muscle spasms and abnormal heart rhythm and functions. As you can see, these are some serious health concerns. So, what’s the bottom line regarding all of this? Yes, senna leaf can stimulate weight loss in the short term. However, senna leaf is not a “good”, healthy, or long-term way to lose weight. The weight lost while using senna is all water weight and temporary. It’s not reducing body fat. Unfortunately, this weight will come right back once you reestablish your normal bathroom habits along with a healthy hydration level. Luckily, there are healthier, longer-term options for losing weight with detox teas. Opt for detox or slimming teas that use pure teas such as green, black, oolong, pu-erh, and white tea. 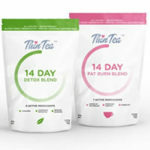 These teas have been scientifically researched to show weight loss benefits such as boosting metabolism, increasing energy, blocking fat absorption, and increasing fat oxidation. Pure teas in combination with herbal teas can also increase weight loss, suppress appetite, and reduce belly bloat. Also, use gentler detox teas that don’t utilize harsh laxatives. Detox teas can truly be a great and effective way to lose weight. That being sad, it’s not worth the risk to use or overuse senna leaf as a means for (temporary) weight loss. The safest option is to stay away from harsh laxatives when you’re using detox teas. Opt for pure and herbal teas that offer weight loss potentials and a gentle detox. 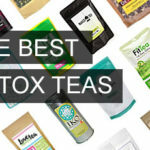 If you’re looking for the right detox tea for you, check out our list of the 10 best detox teas.